Country Lane were a band from the French-speaking part of Switzerland, hailing from La Chaux-De-Fonds in the Neuchatel district. The band was formed in October 1970 by guitarist Raymond Amey, keyboardist Olivier Maire and rhythm guitarist Freddy Von Kaenel. The next year, after several personnel changes, a rhythm section was added to the original trio: between July and October 1971, bassist GianCarlo Duella and drummer Jean-Francois Donze completed the line-up that was responsible for the band's only album, called "Substratum". Olivier Maire was always aiming at perfection as an instrumentalist. He was born in Bienne on the first of September 1951. Intending to be a doctor in the first place, he nevertheless made rime to learn piano, guitar and organ. His first band experience was with a group called Structures, going on with Country Lane. Tragically, he died in a motorbike accident on a Greek road, a few years after the release of "Substratum'". Raymond Amey was born on the 20th of November 1952 in La Chaux-De- Fonds. An accomplished musician, he was an outstanding performer on both six and twelve-string electric guitars, besides playing synthesizers and kazoo. Furthermore, he proved to be an honest singer and a gifted composer. A photographer in civilian life, he made his musical debut with Rhinos and Next Time, two local bands who achieved some success wav back in the early Seventies. A childhood friend of the aforementioned and a former member of Golden Birds, Freddy Von Kaenel was born in the same town, the same year, yet on the 16th of March. Of course, he played the same instrument... Nevertheless, he soon developed his own style, playing essentially acoustic or twelve-string electric rhythm guitar. He describes himself not without humour as being... '' To Country Lane what wheat flour is to bechamel sauce. ", meaning that he was an efficient binder between the different musical tendencies at work within the band. I Ic also was an established high-level economics. GianCarlo Duella is also a native of La Chaux-De-Fonds. Actually, he was born one year after his buddies, on the 7th of March 1953. He started playing bass quite by chance, shortly before joining Country Lane. Yet, he quickly made great progress, establishing himself as an extremely talented musician who wasn't afraid to call his skills into question. Having music and exhausting high-technology studies on the go at the rime, he usually hides his shyness behind reserve. Born April 16th 1952, Jean-Francois Donze was a self-taught percussionist, who started his drumming career on... Kitchen utensils !!! This happened quite unaffectedly at a rather hectic party together with some close friends. Forever bitten by the percussive bug, he discovered that he was cut out for drumming. He made his debut with Open Road before landing up in Country Lane. He describes himself as a very pleasant human being, who wouldn't be as powerful a performer except for what he calls mischievkmsly " Small outbursts of madness... ". A graphic arts student (He designed the album's inside cover drawing.) and a lover of surrealistic painting and Frank Zappa's music, Jean-Francois Donze is most of all a tireless creative person. As soon as January 1972, Country Lane sorted to compose an original repertoire. The result of a relatively simple collective process, the group's music was created by all five bandmembers, beginning from a basical idea put forward by one of them. As soon as someone's tune sketches were approved by the other four, the themes were fleshed out and embellished into a conclusive song by the band. As for the lyrics, they were written exclusively in Shakespeare's language. Not content with offering an almost perfect performance at each of their gigs, Country Lane indulged themselves in an unfailing relaxed attitude when on stage. The equipment at their disposal was intentionally overabundant, in order to guarantee the quintet all possible means to express their adventurous musical ideas. Prefering to emphasize the music above all, the band gave up the idea of using a wealthy light show or any stage histrionics, contrary to Pink Floyd with whom Country Lane were often compared. The band quickly obtained national recognition, thanks notably to their rock-opera "The Story Of Alan And Pearl", lasting for almost one hour and a half. Let's also point out a memorable gig in their home town of I .a Chaux- De-Fonds on the 10th of June 1972, when they opened the show for Daevid Allen’s Gong and several outstanding performances in Geneva. During one of their stays there, Country Lane won second prize at a bands' contest held at the Black Bird club. The competition, organized over a period of one month by the club's manager Eliane Pade, gathered about thirty acts whose respective values were judged by several record companies' executives. Country Lane were presented the budget necessary to record an album by a well-known Swiss television broadcaster, Marius Berger, together with invitations to perform at noted festivals all over Switzerland. The most expensive Swiss long playing of its era, "Substratum" was eventually recorded at La Chaux-De-Fonds' Soundcraft Studio on the 9th of November 1972, under the supervision of Jean-Pierre Louvin and Chris Penycate. The album was released on the 16th of May 1973, op the Splendid Records label. The band were resolutely opposed to any classification of their work. In their own terms: " Basically, we play the music we love, the genre we feel the most confident within ourselves. " With more straight rock stylings scattered through its songs, the album brings out an anguished lyrical nucleus around which vocals and guitars create an escapist, dreamy climate. The musicians' creativity seems to be constandy stimulated, showcasing their talents and own style to the best advantage. As an attempt to characterize their music, one could speak of a perfect assimilation of the heavy English school made famous by Deep Purple and Uriah Heep, together with the best Anglo- Saxon Progressive Rock, the results sometimes recalling the songs of their Belgian colleagues Waterloo. The album met with favourable reviews from the French-speaking Swiss press. The band were often compared to such different artists as Nektar (Yet in a less experimental manner...), Fairport Convention or Soft Machine. 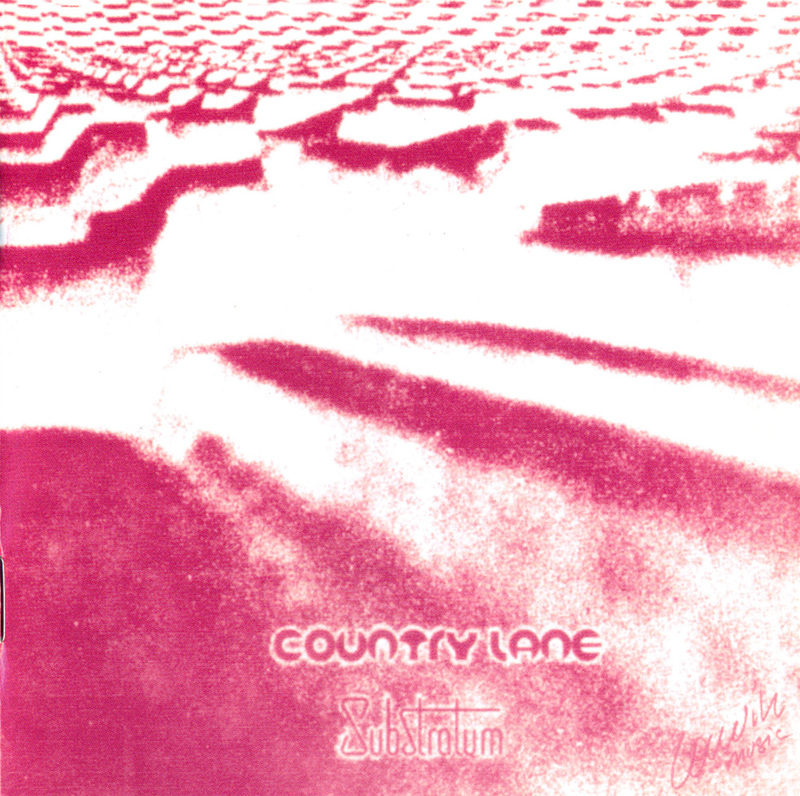 Even if the critics pointed out, albeit with indulgence, at the lack of maturity of some compositions and the band's relative lack of experience, they appreciated Country Lane's artistic qualities and overall freshness, predicting good prospects for them. Sadly, "Substratum" remained the band's only effort, leaving much promises without realisation. Firstly, the album's release coincided with financial problems at Splendid Records, resulting in an obvious lack of energy to promote the record. Moreover, personal differences arose, preventing the band, who were conscious of their slight amateurism, to gig regularly and promote their work by themselves. Gradually, this situation led to the end of their career. A quarter of a century later, the four surviving members of Country Lane have found themselves with various destinies. Most of them have settled down, are family men and, perhaps a sign of the times, have done well in business and their professional undertakings, whereas they held the decadence of the establishment up to ridicule in the distant Seventies. Nevertheless, their intractable spirit has remained in some way: besides being the manager of a computer firm, Raymond Amey has never ceased to write songs. In 1997, he eventually decided to reform a rock group with former local musicians, among whom is his old chum Freddy Von Kaenel himself, nowadays the manager of a foodstuffs firm. Due to Belgian Philippe Collingon and Music Emporium's passion, "Substratum" was first released in CD format some years ago. This one being available no more, Musea gives you a chance to get the remixed version now. Made in a Toulouse studio, the operation let the two meet again with GianCarlo Duella, now a computer engineer living on the shores of the Geneva lake, after spending several months studying in the United States of America. Jean-Francois Donze sadly couldn't attend the reunion, suffering from multiple sclerosis. A divorced and childless man, he creates his own models of (Swiss !) watches for reputed trademarks. 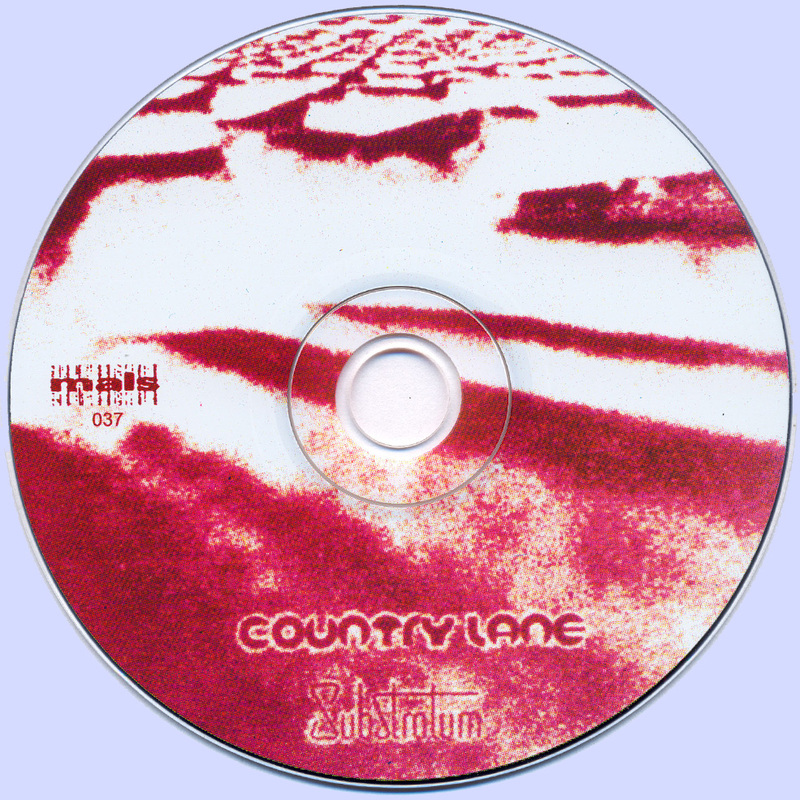 Some twenty-seven years after its only album release, Country Lane remains a good example of those little known, yet multitalented bands, swarming all over Europe in the Seventies and often displaying fresh ideas and enthusiasm far beyond their financial means. As for Country Lane their effort looks all the more remarkable since Switzerland wasn't overflowing with Progressive bands at the time. Welcome wouldn't emerge before two or three years, whilst keyboards wizzard Patrick Moraz essentially made a name for himself in the United Kingdom and abroad. From this point of view, Raymond Amey, reveals a lesser known side of the Progressive Rock history, outof- the-way for most listeners a too long time.